Social media outlets and networks are perfect tools for people to talk about matters of the day, week, or month while interacting and exchanging opinions with other peers that have experienced similar situations or have different points of view. They are platforms that promote discussion, and that may be what prompted Bangladesh authorities to block them. In 2015, after a tense political climate presented itself in Bangladesh, the Prime Minister and other authorities decided to ban Western social media outlets such as Facebook and other messaging and VoIP services like WhatsApp and Viber, making it impossible for inhabitants of the country to access them. The government defended the decision as one made with the sole intention to “catch criminals” that use these networks to perform illegal activities throughout the country, but people in Bangladesh suspect that, amid the death sentences of two prominent politicians, the measure has more to do with preventing unrest and censoring the population’s opinion about sensitive matters. The executions were already carried out, but the pages and networks mentioned in this article are still blocked. If you want to know how to access these sites while you are in Bangladesh, you may need a VPN. VPN stands for Virtual Private Networks, which are tools that encrypt the communication that the user produces with the World Wide Web in such a way that the Internet Service Provider can’t keep logs of the user’s data. The traffic and IP address are sent to remote servers managed by the VPN company, away from hackers, governmental surveillance, censorship, malware developers, copyright trolls, and other unwanted agents or situations. VPN technology is meant to enhance people’s online safety and privacy. However, since most brands manage virtual servers in several locations, they can take your IP address, “hide” it and lend you a new one for temporary use. That will help you access content from abroad that would be blocked otherwise because of geo-blocking restrictions. To access Facebook on Bangladesh with one of the best free or paid VPN brands, you need to connect to a Virtual Private Network and acquire the IP of another country that allows people to enter the famous social media site. Using a VPN in Bangladesh is perfectly legal, so good news! Free vs. paid VPNs: which ones should you use? VPN services can be free or paid. The latter are significantly better options since they can charge for their services and use the money to improve the server network, infrastructure, maintenance, and, above all, encryption quality. In a nation with censorship and content filtering practices such as Bangladesh, it is crucial that your IP address and traffic don’t get leaked around the web. Otherwise, the consequences can be fatal to your online privacy. Free VPN brands, in general, don’t protect your content as fiercely as paid ones, since they have no obvious income to reinvest in the service. There aren’t many servers to speak of, and the connection speeds are often slow. Now that you have been warned, let’s examine the best free (and paid) VPN options to use in Bangladesh. We highly recommend a paid VPN over a Free VPN – Check here the recommended paid options. 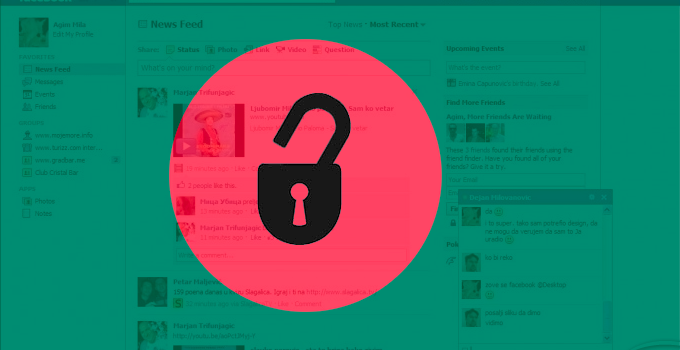 Or continue reading for Best Free VPN to access Facebook in Bangladesh. ProtonVPN is competing to be the best free VPN to access Facebook in Bangladesh. It focuses on security, a perfect scenario for people that want to hide their content in a country with heavy censorship. The security features are advanced and very effective. It has no data caps. The number of servers is very low in the free version. Paid plans allow connection to two, five, and ten nations, respectively. No P2P allowed in the free plan. No Tor servers, secure Core, or Secure Streaming for free. Don’t want to be limited? Check out these VPN services. Hide Me is a well-known product that can help you access your social media sites and VoIP services in Bangladesh with no issues. It offers a free and a paid subscription, the former of which has a 2 GB monthly data limitation. Being based in Malaysia, it has no notable problems when it comes to data retention laws, and it also implements a no logging policy. It doesn’t work with Netflix and download speeds aren’t particularly fast, but Hide Me is not a bad fallback choice. The free plan comes with a monthly data cap of 2 GB. No data retention laws to worry about, being based in Malaysia. It comes with a kill switch. The server network is rather small. The download speeds are not very fast. The customer support staff isn’t always helpful. A monthly data cap, whereas the paid service has no limits. No simultaneous connections: the most expensive plan has five. Being based in Romania, CyberGhost has no problems whatsoever with data retention laws: you could access Facebook in Bangladesh with no issues, as well as other blocked networks and VoIP services. 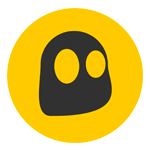 With AES 256-bit encryption, OpenVPN availability, a kill switch, and 2,960 servers in 59 countries, CyberGhost is a certified option to work in a country with heavy censorship such as Bangladesh. Works with TOR and Netflix. Top encryption and a broad server network. Very straightforward to install and use. 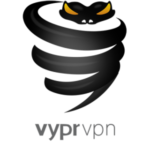 VyprVPN is managed by the Golden Frog company. When we talk about positive aspects, we can find that the brand works with Netflix, protects users from DNS leaks, and it has almost 1,000 servers in 70 nations around the world. As for drawbacks, we can point out the fact that torrenting activity is discouraged, and the customer support staff isn’t very good. Otherwise, VyprVPN offers a robust service and is one of the best paid VPNs that can help you access Facebook in Bangladesh. The Chameleon protocol works like a charm in countries with heavy censorship. In conclusion, Bangladesh is an exotic Asian country that, unfortunately, won’t let its citizens access Facebook and notable VoIP services such as Viber. To solve the issue, you need one of the best free VPNs that the market has to offer, plus a couple of paid options you can try.